WHY SHOULD I JOIN CHEF OF OKLAHOMA? SUPPORT GROUPS - CHEF offers support groups both locally and in surrounding areas. The current areas we offer support groups in are South Tulsa County, Sapulpa/Sand Springs, Payne County, North Tri County (Owasso, Collinsville, Skiatook), and Creek County. We are looking for someone to step forward in leadership of the following areas; Claremore/Catoosa, Midtown Tulsa, and Broken Arrow. ATHLETIC ASSOCIATION - CHEF provides member students the opportunity to participate in team sports. Basketball for boys and girls ages nine and up is currently offered. We host an annual CHEF Alumni basketball game in December. GRADUATION - CHEF hosts an annual graduation ceremony for senior high students. CHEF SCHOLARSHIPS - Since 1999, CHEF honors one outstanding CHEF senior each year with a $500 scholarship. Since 2008, CHEF Alumni honors one outstanding CHEF senior each year with a $500 music scholarship in memory of Jaron Holliday. Both scholarships are awarded at the CHEF Graduation. CHEF WEBSITE - CHEF has a beautiful website designed to keep its members informed and up to date on what is going on in CHEF and all area CHEF support groups. There is a classifieds section where you can offer used curriculum for sale or post curriculum you are looking for. The CHEF Forum is designed to be a place where you can ask any question you might have regarding homeschooling, and it will go out to the membership to see if anyone has an answer for you. The basketball schedule for the year and other info is on our website. The CHEF directory is accessible on the secure side of our website. The CHEF calendar is available on the website showing various CHEF and area support group activities, meetings, and events. The CHEF photo gallery has photos of basketball, field trips, and various activities. You may re-register to join CHEF each year on the website, via Paypal, or you can print off the CHEF renewal form to mail in. Information to contact various CHEF leaders and board members is found on the CHEF website. There is an Online Resource section with lots of resources to glean from. 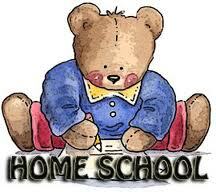 There is a You Can Homeschool section with lots of information and tips. We have many ideas for other helpful sections to come! Our desire here at CHEF with our website is to keep our members connected, informed, and educated to what is going on in our homeschool network, our nation regarding homeschooling, and with our members. CHEF ACTIVITIES - Roller skating, ice skating, swimming, chess night, library day, monthly meetings, field trips, and bowling are just some of the various activities offered in our area support groups. Some or all of these activities may or may not be offered in a specific support group. DISCOUNT FAIR TICKETS - CHEF offers discount fair tickets for the Tulsa State Fair to its members with the CHEF card each fall. HSLDA DISCOUNT - CHEF membership entitles the member to a $20.00 discount on the $115 annual dues for HSLDA (Home School Legal Defense Association). OCHEC DISCOUNT - Since CHEF is now an OCHEC affiliate, we are entitled to a discount on various OCHEC events.